We are happy to begin this Fall with giving you some great news - our API unit package prices have got a significantly lower. 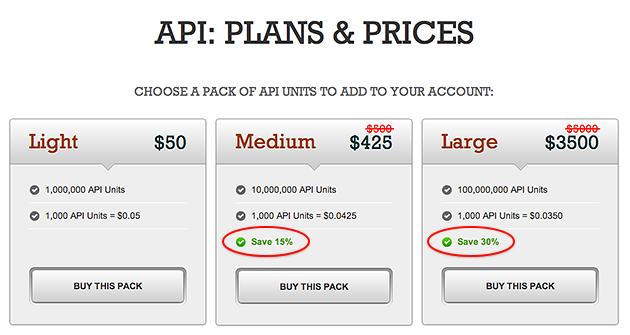 Right now, You can buy 10 mil API units with 15% off and 100 mil API units with 30% off! So, go ahead and get your API units now on SEMrush API plans & package.